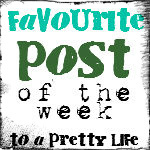 Welcome to the first ever Favourite Posts of the Week party at To a Pretty Life! I wanted a place to share my favourite posts, and also to see what you've loved this week! After you check out my favourites, feel free to link your favourite post of the week. It can be on your blog or someone else's, just be sure to link to the actual blog post page. Enjoy! So you'd think that after falling in love with that Ikea kitchen just last week I'd remain loyal a little longer. Not the case! Sorry Ikea, I have a new love! It's this kitchen by Kelly of Eclectically Vintage! She did an amazing job with the renovations. I love the red stove! I discovered this Little Black Dress post on Twitter. I haven't yet had a chance to read more on the blog, but I will! I loved her dress, and her boots look almost exactly like mine! 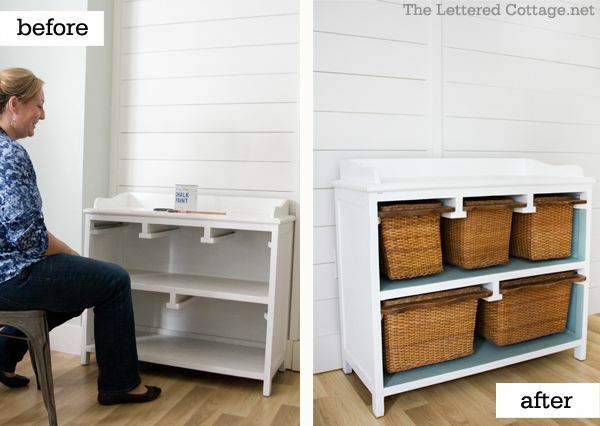 I was pretty thrilled to read a post on The Lettered Cottage about repainting this little piece of furniture. See the new colours? Do they look familiar? 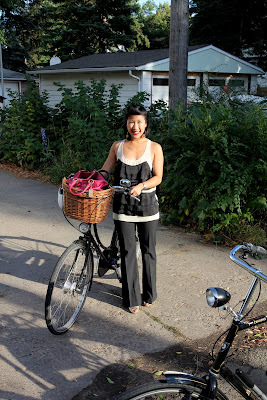 I just discovered this blog, Girls and Bicycles. The writer is from Edmonton! I love her bike-riding style! She rides in heels and nice clothes. I look forward to reading more! It's your turn! What is your favourite post from the last week? Thanks so much for featuring my kitchen! 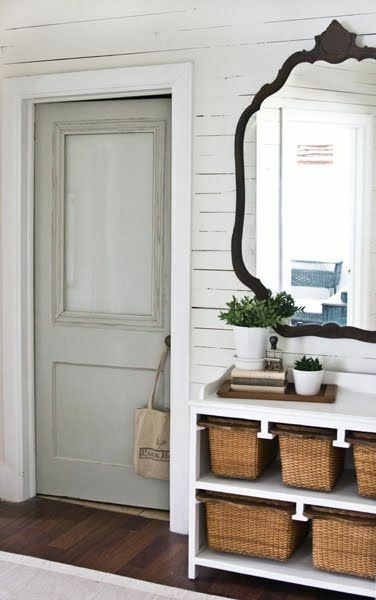 Love that dresser makeover too. I found your blog today from a comment (the yardstick) and love discovering other Canadian blogs. I'm now following on Linky and GFC. Great idea, Jo. I've already checked out all the other blogs featured. I LOVE THAT KITCHEN!!! Especially those cool light fixtures! This was a really big week for me--I discovered Pinterest and committed to writing at least once each day--I love your site and the posts are so REAL! Thanks so much! That bicycle looks a lot like mine, dutch style... without the cool basket though. I'm still looking for the perfect one. Surprisingly, "lady-like" baskets don't seem to exist around here. And I say surprisingly, because hundreds of people in this city use bikes to get around, and "frocks on bikes" is a regular social happening. (Everyone dresses up all fancy and ride around the city together.) Anyway, you would think there would be more baskets. ;) I think you would look adorable all dressed up and riding a “cool” bike… with a basket of course.